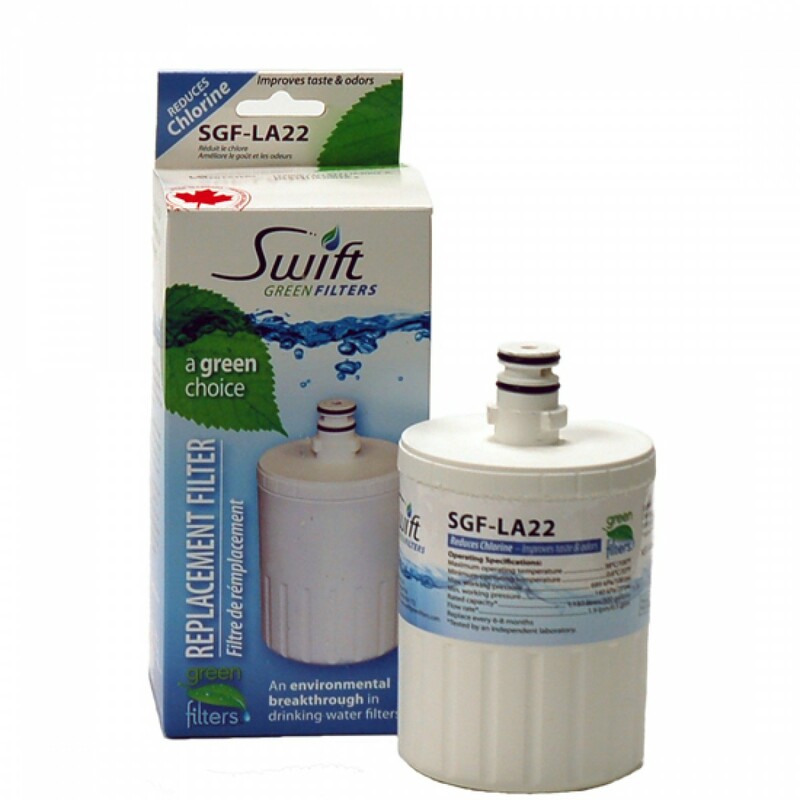 Manufactured by Swift Green, this affordably priced filter fits into fridge models that use the LG LT500P. For up to six months after installation, this filter will pour great-tasting, high quality water by significantly reducing chlorine and particulates. Meets NSF standard 42 for contaminant reduction. The SWIFT-SGF-LA22 does not reduce fluoride.